Use this page as a resource to citing sources and formatting research papers. 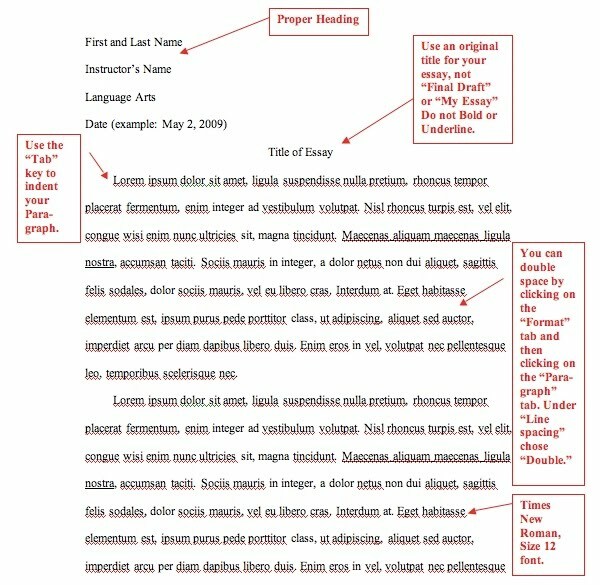 Created by Kirby Rideout of Collin County Community College, this is a template for formatting a research paper in MLA format. The paper has one-inch margins all around. Each page has a header of last name and page number. The paper will be double-spaced throughout, no extra space between sections or paragraphs. The entire paper, including the heading and title, needs to be in the same type and size of font. This template uses Times New Roman 12pt font. Because it is easy to read, this font is definitely appropriate for college essays. Make sure that the essay is left aligned, not fully justified. One space between sentences is standard; however, double-spacing between sentences is okay. Follow your instructor’s preference in spacing and be consistent. Hit the enter key only once at the end of each paragraph. After the last paragraph in an MLA style essay, force the document to begin a new page for the Works Cited page. The Works Cited page will still have the one-inch margins all the way around and have the heading of last name and page number. This page will also be double-spaced throughout with no extra space between entries. Items in a Works Cited page will be alphabetized by the first word of each entry (author’s last name or title of work). Each entry will use a hanging indent, in which lines after the first indent half an inch. Because the URLs in a Works Cited page are not underlined, remove the hyperlinks so that URLs will be formatted correctly. To do this, right click on the hyperlink and select remove hyperlink. The sample Works Cited page that follows has the entry for the MLA Handbook and then templates for some of the most common types of sources used. For more information, refer to chapters 5 and 6 of the MLA Handbook and Purdue University’s Online Writing Lab. Lastname, Firstname. Title of the Book. City of Publication: Publisher, Year. Lastname, Firstname. “Title of the Article.” Name of the Scholarly Journal Volume.Issue (Date): first page-last page. Lastname, Firstname. “Title of the Newspaper Article.” Title of the Newspaper Date, edition: SectionPagenumber+. “The Title of the Article.” Title of Magazine Date: page number. Name of the Library Database: Name of the Service. Name of the library with city, state abbreviation. Date of access <URL>.